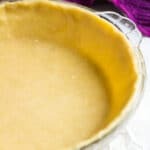 The Perfect Pie Crust – This deliciously buttery, flaky pie crust is so quick and easy to make, and will pair perfectly with your homemade pie filling! 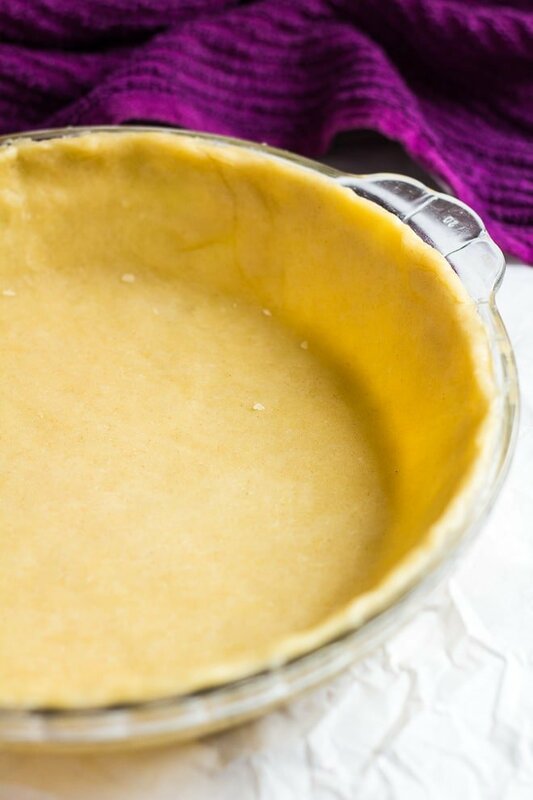 This pie crust is so quick and easy to make, and is only made with a few simple ingredients. It can be made by hand using a pastry cutter or two forks, or you can use your food processor! 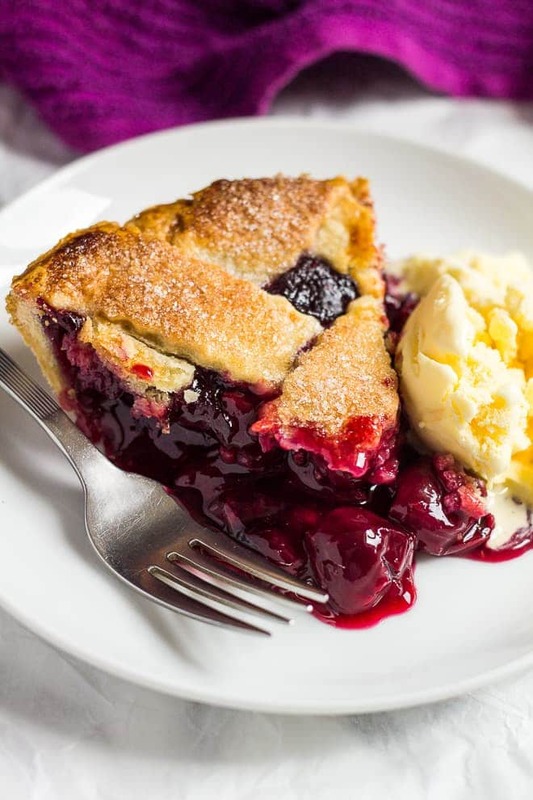 Use this pie crust for these delicious pie recipes! This deliciously buttery, flaky pie crust is so quick and easy to make, and will pair perfectly with your homemade pie filling! In a large bowl, mix together the flour, sugar, and salt. Add the butter, and using a pastry cutter, or two forks (you may also use a food processor), cut the butter into the flour mixture until it resembles coarse meal with pea-sized pieces. Add the water, 1 tablespoon at a time, and stir with a rubber spatula or wooden spoon until the crumbs start to form large clumps of dough. Transfer the dough to a floured surface, and gather into a ball. 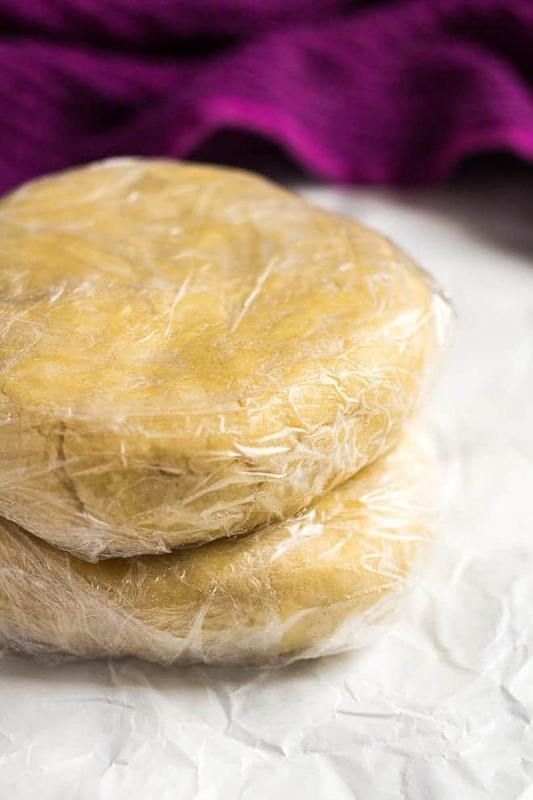 Cut the dough in half, and shape each half into 1-inch thick discs. Wrap each disc tightly in clingfilm, and refrigerate for at least an hour (and up to 5 days). You can also freeze them for up to 3 months. Thaw overnight in the fridge before use. This recipe makes two crusts. You can halve the recipe if you only need one, or you can freeze the other half. What a beautiful pie crust! Marsha, what kind of cherries did you use? Bing? Will it have a sweet/sour taste like the store bought versions? I am an experienced cook/baker and recently read an article stating the cherry makes the difference in the flavor. I’m definitely trying this soon! Thanks! 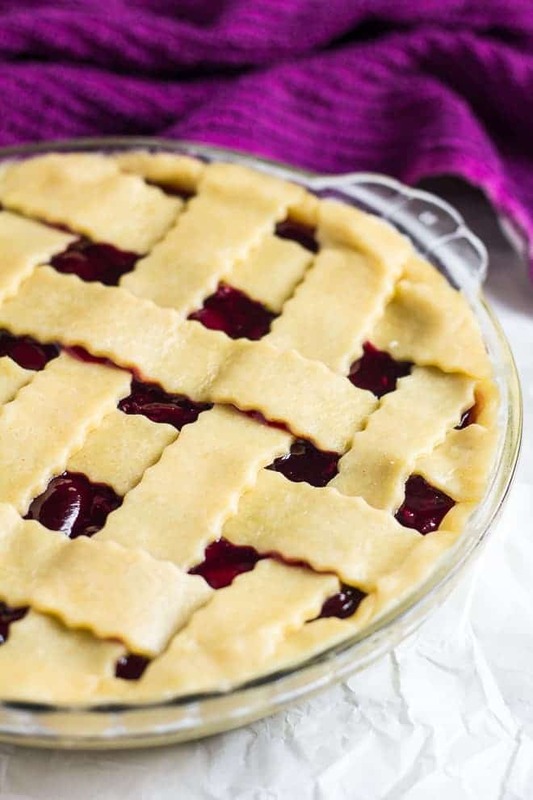 I love this recipe, but I made a cherry pie with it and the bottom crust didn’t bake. Do you have any suggestions.